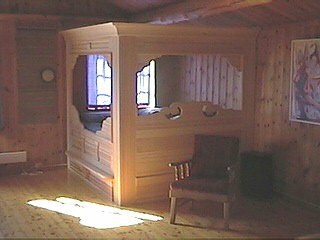 Djuvland Fjellgard is a preserved Telemarksyard with 4 fully equipped, high standard cabins for rent, a total of 32 beds, all equipped with kitchen, fireplace, WC and shower, TV and radio, situated 100m from the farmyard. FARM VISIT with cultural contents. We offer guiding inside and outside the yard and can serve dinner etc. for groups (min 10 persons) in our nice living room called “gamlestoga” from the 17th century. The living room upstairs called “ivistoga” is nicely decorated with rose paintings from 1832 and 1860. Licensed to serve beer and wine. The hostess wish you very welcome to the farm! 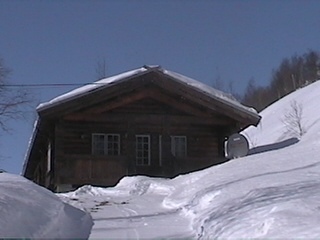 COMFORTABLE MOUNTAIN CABINS called “hytte” for rent! 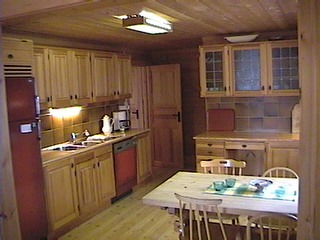 OLYMPIC, is built in 1995, 2 cabins each 60m2, beautiful view, 8 beds in 3 bedrooms. 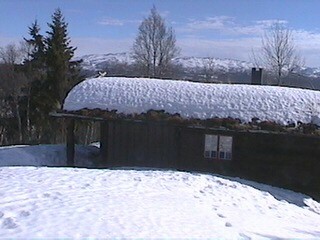 EIVIND, is built in 1983, 120m2, below the farm, 6/8 beds, 2 bedrooms, heaven bed. SPONBAKK, is built in 1976, refinished in 1995, above the farm, 85m2, wonderful panoramic view to the Raulandsmountains. 6/8 beds, 2 bedrooms, heaven bed in the living room. 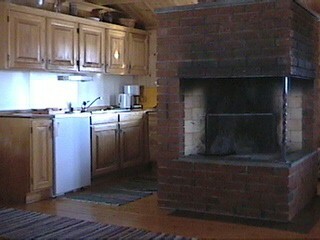 ELDHUS, is built in 1960, refinished 1995, in the farmyard, 3/4 beds, 1 bedroom, heaven bed. shower and toilet in the main building. Djuvland is a family farm in the 5th generation with traditions from the 16th century. The farm was self-sufficent growing; grain, potatos, grass, local mill,saw, and 9 pastures, animals, cows, sheep,pigs, goats,horse,silverfox and chicken. Many famous norwegian painters painted outside and inside the farm; Dyre Vaa, Egner, Fearnely, Nagell Ericsen, Astrup,Werenskiold, Gøytil.Luraas, Bjålid. The most famous Norwegian Hardanger fiddleplayer, Myllarguten,(the millers boy) played here several times at weddings, last time in 1853. Today the farm make a living from tourism, sheep and outdoor development. The farm has been photographed and described in several magazines and newspapers; Hjemmet no 50/97, Familien no 2/99, Bell’ Europa no 68/98. Member of NBT-Telemark and Rauland Turist. 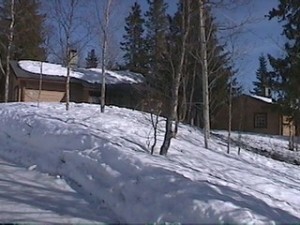 Skiing, sledging near the farm, play area by the cabins. 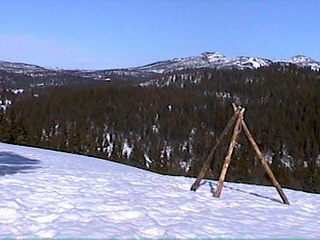 Short distance to net of ski tracks, 140 km machine prepared, 8 km up lighted ski track. 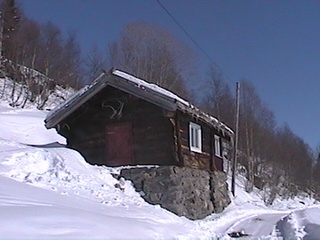 6 km to alpineski resorts, sledge centre. 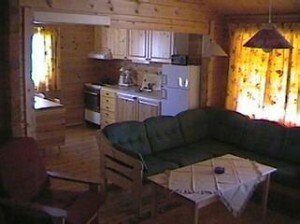 2 km to horseback riding centre, ice fishing and fishing/bathing close by. Marked paths, bicycles, boats and canoes for rent. Sheep, cats at the farm.